Backlinks are a defining feature of the web that helps to make the internet useful to users who can quickly “jump” from one webpage to another. More importantly for SEO purposes, backlinks have a natural and inherent SEO value as search engines like Google have used backlinks for over 2 decades to understand the relative value of webpages and websites. 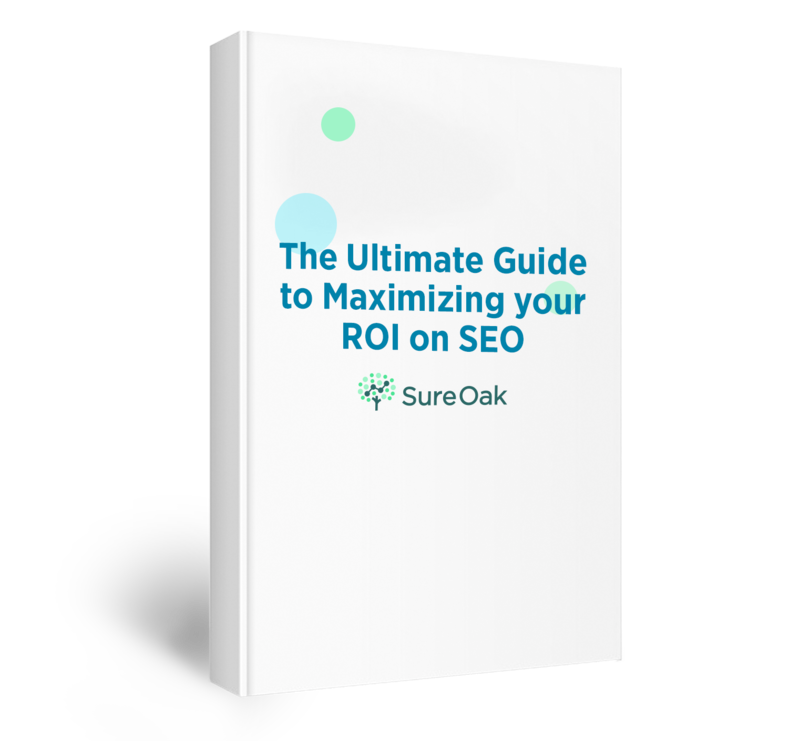 The purpose of this guide is to share with you the best practices for interlinking (internal linking) the pages on your website to help you optimize your website for SEO, clicks, and helpfulness to the reader. You want to capitalize on the power of cross-linking pages on your website since it is directly within your control and will help to rank other webpages higher in the search results when someone searches on Google. You will find that the recurring theme of all the best practices here for backlinking is that everything should be done “naturally”. Don’t follow a pattern. If you keep reusing the same formula to add backlinks, this can appear suspicious to Google and hurt your site from ranking. Google’s algorithms detect and penalize intentional efforts to manipulate ranking in search results (SEO). Search engines want to rank pages that best meet the searcher’s query, not sites that are trying to “game the algorithm”. Google is very sensitive to any unnatural backlinking, as their algorithm can detect spam signals or attempts to manipulate their search engine. Be sure that all interlinking that you do within your blog post would be considered natural and normal for human beings. A hyperlink should make sense for why a reader would want to go there. Backlinks should be created with readers in mind and help them to find other relevant and related web pages as a reference. Consider your reader’s user experience as you add in the link. Would the reader find value or at least understand the connection made through this link? If yes, link. If not, don’t force the link. Backlinks should be “contextually relevant”. For example, if you were writing about the challenges of programming with Python, you wouldn’t link to a web page about the history of tennis. Almost all backlinks created should be related to web pages they are cross-linking to (as much as possible) and help the reader find out and learn more about what is being discussed in that text. We should not be forcing backlinks into text or “making up excuses” to try to get them into text, but links can be “creatively” included by adding a paragraph or a phrase that might create an opportunity to link to a high-priority page. If a blog post is primarily about searching for wedding shoes, then it would be normal and natural for there to be several natural links to the page about wedding shoes on your website. If a blog post is about baseball cards, then no, it would not make sense to link from that page to your page about wedding shoes (unless your site is naturally eclectic and about varied topics). Anchor text is the highlighted blue text (<—- THIS ) that indicates to users that the text is a clickable link. It is the visible and clickable text of a hyperlink. It bears repeating: Keep your anchor text natural and normal. Anchor text is discussed again later in this guide. It is impossible to say that there should be an exact number of backlinks in any one blog post. We can’t set a hard number of backlinks to aim for, nor can we say any specific range of how many backlinks to put in a blog post. Again, just keep it natural and do what makes sense. Generally speaking, we might see a bell curve where the majority of blog posts have around 3-10 backlinks in each post. But there might be a rare post where no backlink would make sense or a post where 10+ backlinks make sense. Just be careful not to “overdo” it and aggressively create too many backlinks. At the same time, we shouldn’t be reluctant to backlink either. Ultimately, we want to strike the right balance. We want (you guessed it!) a natural mix of outgoing backlinks from a blog post to different websites. That is to say, we wouldn’t keep linking to the same web page 10 times in one post unless of course, it absolutely made sense to. Generally speaking, there should be a mix. Again, there is no set rule here, but we should just have a natural mix and natural variation. As an example, if we would like to help rank the webpage https://en.wikipedia.org/wiki/Love for the keyword “love” in Google, then we will want to have more inner links going to this webpage. This will indicate to Google that it is a more valuable webpage. However, we do not want to use the same exact match anchor text repeatedly. We also don’t want to link too many times to pages in any one post, unless of course, it makes sense to. Perhaps if we link to a page once or twice (or a few times maximum) in some blog posts, this would make sense. If one blog post was linking to pages too much, it can become a major concern. It is also important to consider that if we keep backlinking to the same page over and over, it will eventually lose its “potency.” In other words, the first few times that we backlink to a webpage it will have a more significant effect. By the 10th time, it won’t have as much of an effect. By the 50th time, it will have hardly any effect. There is a “point of diminishing returns.” This is also something worth bearing in mind. If we know that we want to create more backlinks to certain pages, it will make sense to take this into consideration while you begin developing your blog post. For example, there might be a point in the blog post where it can make sense to mention a certain keyword, and so you might include a phrase, sentence, or paragraph that will create a cross-linking opportunity within the blog post. As you already know, it simply has to be natural, relevant, and a good user experience. Backlinks are very important for SEO because this is how Google calculates the importance of different website and webpages so that they can show users the best search results when someone does a Google search. Google and other search engines like Bing use backlinks as the most heavily-weighted ranking factor in their algorithm to show the best search results to their users. For example, if The New York Times links to another website, Google will give a lot of weighting to that webpage being linked to since it is coming from such an authoritative and credible source. Generally speaking, the more high-quality backlinks that a webpage and website have, the higher it will rank in the search results pages on Google. Google used to use a metric called “PageRank” to determine the importance of webpages and websites from the backlinks coming to them. They still continue to use similar metrics like PageRank today. Google actively “crawls” billions of pages on the web and “sees” all of these backlinks and how all webpages are connected to each other. Over time Google has had to fight a lot of spam of people trying to manipulate their rankings with backlinks and anchor text; this is why natural and proper linking is a sensitive undertaking. For example, a page with a lot of external backlinks coming to it will pass a lot of link equity, or SEO juice, to any webpage that is linked to from this webpage (as opposed to a webpage that has 0 backlinks coming to it). There are of course other factors in which SEO juice is determined. Only add links that are relevant and related to the blog post content. Followed links will pass link equity but nofollow links will pass either none or very close to none. If you don’t indicate whether a link is dofollow or nofollow, it is by default dofollow. To make a link nofollow, you would add the HTML attribute rel=”nofollow’ to the link tag. See more below. The location of where the link is on the page is important. Links that are coming from the sidebar or footer will carry very little link equity. Links that are closer towards the top of the page typically carry more weight for search engines (Google) than links that appear near the bottom of the page. A blog post that has 2 backlinks will carry more weight to those 2 pages than a blog post that has 10 backlinks. The blog post with 10 backlinks will “divide up” the link equity across more links (like a limited resource). An internal backlink is a link from one page of a website that is linking to another page of the same website. For example, a link from a blog post on https://www.zappos.com/beyondthebox/ to another blog post on https://www.zappos.com/beyondthebox/ is an internal backlink. An external backlink is a link from one page of a website that is linking to another page of a different website. For example, a link from a blog post on indeed.com to a job post on https://www.zappos.com/beyondthebox/ is an external backlink. For a second example, a link from a blog post on https://www.zappos.com/beyondthebox/ to a page on https://www.shoes.com/ is an external backlink. When linking out to other external websites, make sure that they are high-quality websites. A “nofollow” link tells Google not to pass any link equity to that page being linked to. Google explains it here. You can learn more about nofollow links here and here. If you ever wanted to not pass link equity to another webpage or website with your backlink, or you were not confident that the site you were linking to is a high-quality website, you could decide to use a “nofollow” backlink. Using a nofollow link this way, users can still click and follow your link, but Google won’t count any link equity towards that webpage it is linking to. When adding backlinks, we prefer to check the box in WordPress that says “Open link in a new tab.” This allows the user to come back to the primary page they were reading, while temporarily viewing the new page they have just opened. Thus, they can stay on your website for longer or return back to it when they’re done with the other page. See above for a brief overview of what anchor text is. Historically, Google has sensitivity to anchor text because it has been manipulated over the years by unscrupulous SEOs looking to “game the system”. For example, if we wanted to rank this page https://en.wikipedia.org/wiki/Love for the keyword “love”, using the “exact match anchor text” of the keyword as the anchor text used to help indicate to Google that this page is a good search result for this keyword, love. But if we used this exact same anchor text 100% of the time we link to this page or even 20% of the time we linked to this page, it would indicate to Google that we are trying to “manipulate” their algorithm, and it would count against us. What this means is that from our previous example, if we are linking to the page about “running shoes”, we might use that exact match anchor text almost never, and use a “phrase match” or “partial match” about 30% of the time. And the other 70% of the time we’d use all kinds of other types of anchor text. An example of a partial match is “new running shoes” or “comfortable running shoes.” Use variations of those keywords. For example instead of “running shoes,” you can use, “cheap running shoes”, etc. You may have heard this once before, but just keep it natural. WordStream’s What is Anchor Text? Exact-match: Anchor text that uses a target keyword that mirrors the page that is being linked to. For example: ‘remote work’ linking to a page about remote work. Partial-match: Anchor text that includes a variation of the keyword on the linked-to page. ‘remote work strategies’ linking to a page about remote work. Long anchors: Similar to partial-match, but longer. “implementing remote work strategies”, “understanding the value of remote work for employees” linking to a page about remote work. Branded: A brand name used as anchor text. “Zappos” linking to an article on the Zappos Blog. Brand + Keyword: one anchor which combines the two. Generic: A generic word or phrase as the anchor, usually as a call-to-action. “Click here”, “Learn more”, Find out more on our blog. Images: Whenever an image is linked, Google will use the text contained in the image’s alt attribute tag as the anchor text. Latent Semantic Indexing (LSI): uses a variation of the keyword as the anchor. “Career in remote work”, “what is remote work” “working remote” linking to a page about remote work. SEO-friendly anchor text is succinct and relevant to the target page (i.e., the page it’s linking to), according to Moz. Relevant to the linked-to page: anchor text should be as descriptive of the linked-to page as possible. Low keyword density (not overly keyword-heavy): it is a best practice to obtain and use keyword- and topic-specific anchor text when possible. Exact-match anchor text can be the best option if used in a variety of anchor text types. Google’s Penguin algorithm penalized sites that overused exact-match anchor text to increase ranking. Therefore, the variety of anchor text is important. Gotch SEO recommends using branded anchor text as much as 70% of the time: “algorithms expect branding”.